There are many traditional sartorial staples for the office. The blazer, the chino, the mid-heel and the trench coat are just some of our workplace-appropriate favs. Now, a new must-have has arrived on the scene to smarten up your wardrobe. This workwear staple is already coveted by celebrities, and you can nab your own high street version too. Welcome, the skinny scarf. Once reserved for the likes of Russell Brand, this accessory is now becoming an instant style hit. From Rosie Huntington-Whiteley to Kate Moss, here’s a look at who’s rocking this cool girl accessory. Get your own similar but affordable versions from the high street. 1. 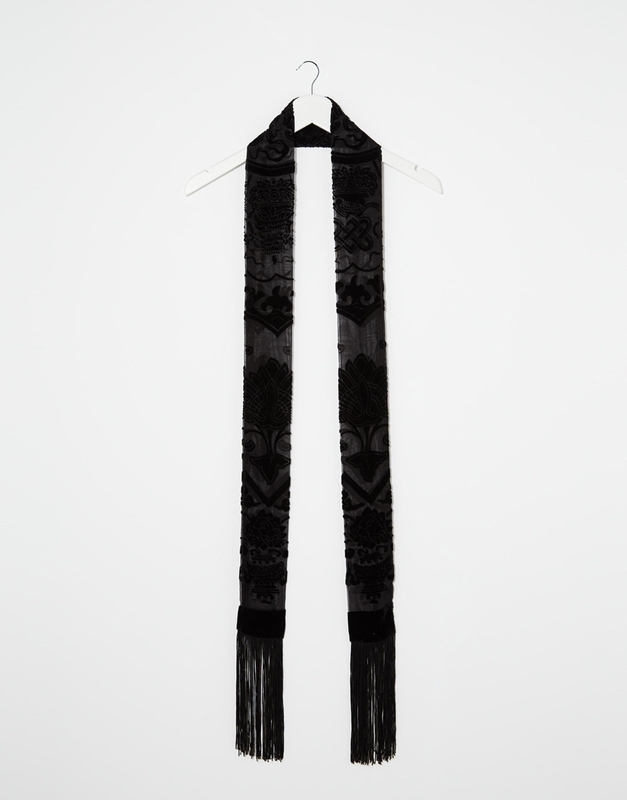 Jayley Cira Silk Devore Skinny Scarf, £18. 3. New Look Skinny Scarf, £3.99. 4. 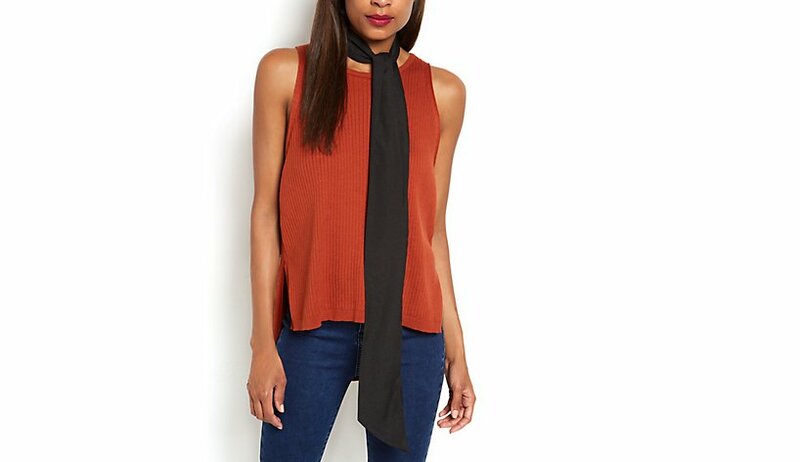 Pieces Riola Skinny Scarf, £6.